The cover of this one first caught my eye and made me think the story would be dark. This book turned out to be a quick and enjoyable read, but not one I loved. Not being a huge fan of Doctor Who (I enjoyed Torchwood far more) I can’t speak to the Doctor Who comparison, but the Sherlock comparison is spot on. And by spot on, I mean, once again we have the socially inept genius who sees what no one else can see. In this instance, Detective Jackaby sees paranormal oddities, from pixies and trolls to auras and magical residue. The entire story is essentially a Victorian episode of Sherlock with werebeasties, and, as in Elementary, Watson is now played by a woman… a girl? This book is marketted for young readers after all. The Sherlock-Watson vibe isn’t subtle. Abigail Rook keeps a journal of their escapades and even writes up a story about it all in the end – much like both Sherlock’s and Elementary’s Watsons do. The parallel isn’t cute though, it’s almost tedious because it’s all been done before. To be honest, I’m not sure the paranormal element in this book really offers enough freshness to the story. 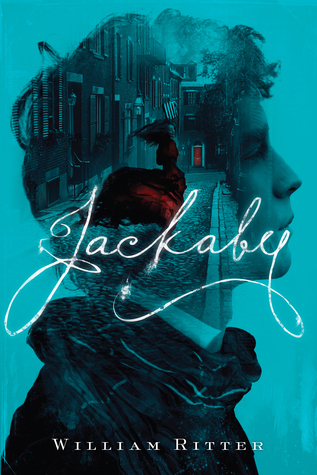 Jackaby is at least a quick read and that cheeky humour in the blurb definitely does come through. That’s the book’s saving grace. Were it not for that snide sense of humour, this book would not have been nearly as enjoyable. I’m struggling to think of what else to write about this. I don’t think this book is going to linger in my thoughts for very long. With the recent slew of Sherlock retellings, it’s just not that unique or memorable and the paranormal detective story has been done to death. What is perhaps unique is the touch of feminism thanks to Abigail’s stubbornness and assertiveness. Given the era in which this is set, Abigail certainly fits the strong female character trope, but is still second fiddle to the male, genius detective. Now, this book would’ve been truly refreshing had it made the Sherlockian-detective the woman. Actually, why hasn’t this already been done? Or are women simply incapable of being sociopathic geniuses? Anyway… if you’re looking for a quick and entertaining read for a rainy afternoon and enjoy paranormal stories, you would probably enjoy this book. There’s absolutely nothing wrong with it, it just didn’t blow me away and I probably won’t remember this story at all in a couple of months. Jackaby gets 3.5/5 ink splats from me.